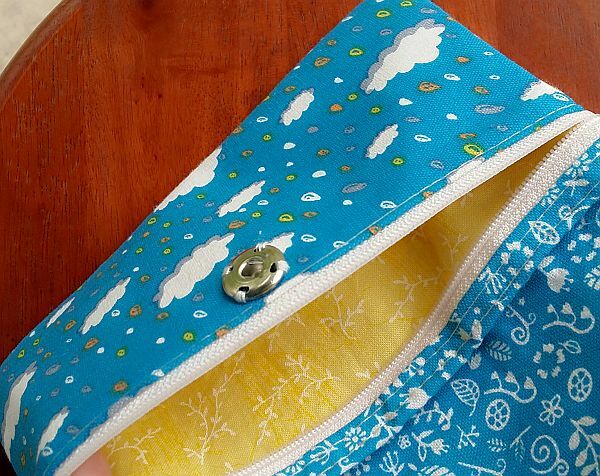 Remember this post that I’ve written – Sewing pouches.. Well.. 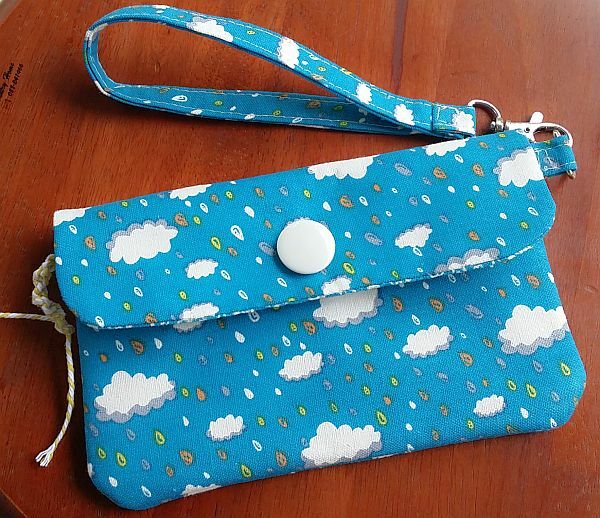 I did another one using the fabric that I’ve bought earlier on, and I’m calling it the “raindrops and cloud pouch”. This time, I”ve made the handle slimmer and an add-on pocket behind with sew-on snap. I thought it would look nice with a green background.. well.. what do you think? The snap area has been decorated with a cute little white button too. I’ve used a bit of the yellow patterned cotton at the back of the pouch so that it has bit of a pattern, which turn out to be not bad at all.. 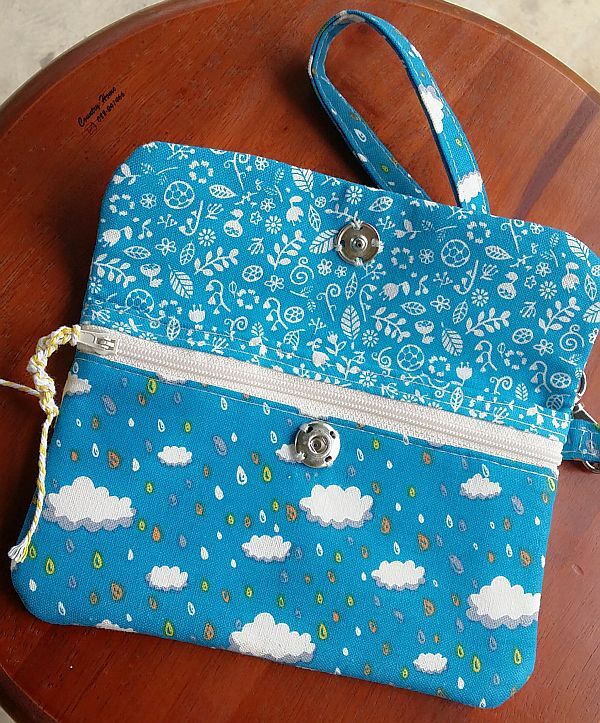 This is the extra for this pouch – another clip in area maybe for card or even pieces of tissue. Here you can see the yellow fabric. 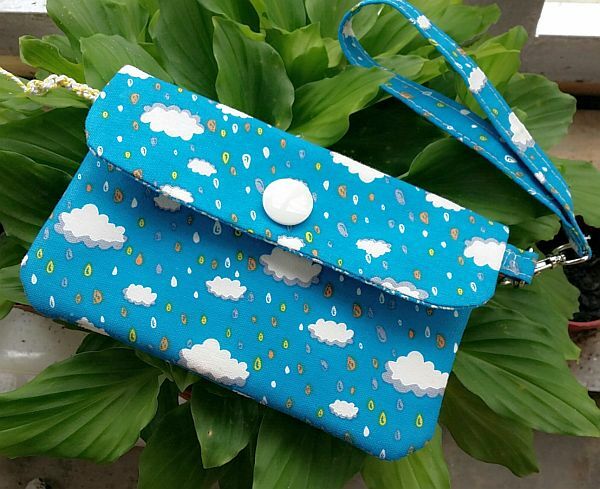 To me, this pouch is just nice to bring along for a meeting with your staff card, hand-phone, tissue and business cards. You can just sling it on your wrist and still can hold your files or other stuff with both hand. All fabric has been enhanced with fusible or make it more sturdy.